Lemon zest and syrup give these refreshing lemon muffins loads of flavor, and sour cream gives them a wonderful, delicate texture. 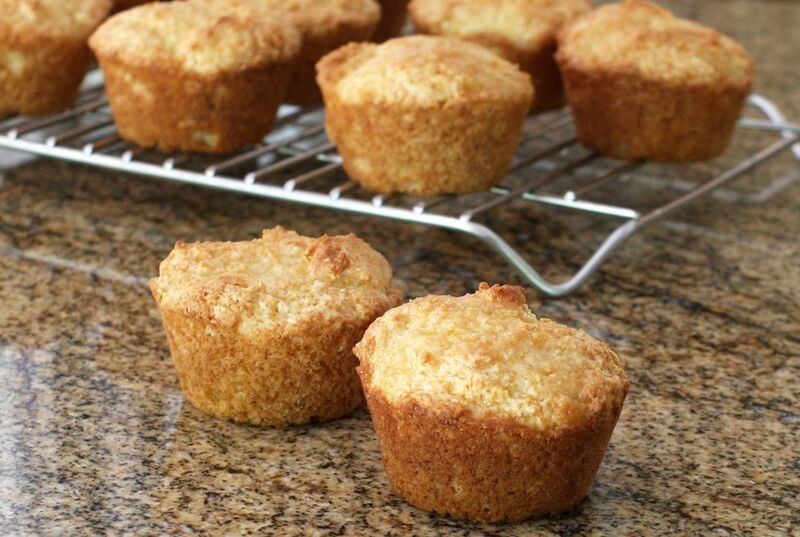 Make these great-tasting muffins for a special morning treat. You'll need about 3 lemons for this recipe. Muffins and quick breads are perfect for breakfast or snacks, and they make a delicious option to serve along with a large brunch. Serve them with a plain or flavored cream cheese spread or butter. See the quick lemon cream cheese spread in the tips and variations. Heat the oven to 375 F. Grease 12 muffin cups or spray with baking spray. In a large bowl, combine the all-purpose flour, 3/4 cup of granulated sugar, the baking powder and soda, and salt. Use a whisk to blend the dry ingredients thoroughly. In another bowl, combine sour cream with the egg, melted butter, lemon zest, and 2 tablespoons of lemon juice. Whisk the mixture until smooth and well blended. Blend the sour cream mixture into the dry ingredients just until blended and all ingredients are moistened. Fill muffin cups about 2/3 full. Bake for 18 minutes, or until browned and a toothpick comes out clean when inserted into the center of a muffin. Cool in the pan on a rack for 5 minutes. Remove the muffins to a rack. Place foil or a pan under the rack to catch drips. Poke each muffin several times with a toothpick. Meanwhile, bring the 1/3 cup of lemon juice and 1/4 cup of sugar to a boil in a small saucepan. Cook, stirring until sugar is completely dissolved. Using a spoon, drizzle a little of the juice mixture over each muffin. The baking powder in muffins and quick breads begins acting as soon as the wet and dry ingredients are combined. Make sure your oven is preheated and the pans are ready before you mix. To convert the recipe to a quick bread loaf, spread the batter in a greased and floured 8 1/2-by-4 1/2-inch loaf pan and bake in a preheated 325 F oven for about 1 hour, or until just a few moist crumbs cling to a toothpick inserted into the center of the loaf. Serve the bread with a lemon flavored spread. Combine 8 ounces of softened cream cheese with 1 tablespoon of fresh lemon juice, 1 teaspoon of finely grated lemon zest, and 1 or 2 tablespoons of powdered sugar, or to taste. Beat with an electric mixer until fluffy. Add 1 tablespoon of poppy seeds to the muffin batter.